Beanblossom Bottoms Nature Preserve, Sycamore’s 598-acre wooded swamp and wetland preserve in Monroe County, was recently designated as a Wetland of Distinction by the Society of Wetland Scientists. 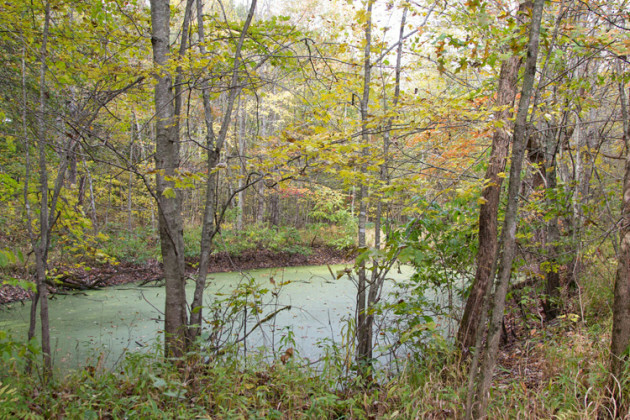 The frog pond at Beanblossom Bottoms Nature Preserve in fall. Photo by Marcin Zalewski. The Society of Wetland Scientists, a 3,500-member international society devoted to support and encourage sound wetland science, education, management, and stewardship, launched the Wetlands of Distinction initiative to raise public awareness of wetlands and their many benefits to human health and the environment. The initiative seeks to recognize the biology, ecology, conservation status, and access opportunities of high-functioning wetlands across the nation. 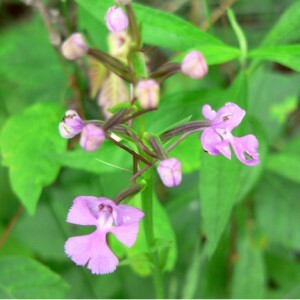 A purple fringeless orchid at Beanblossom Bottoms. Photo by Vern Wilkins. Beanblossom Bottoms was selected for its high quality forests and marshes, biodiversity, wildlife habitat, and public access. It is the first wetland in Indiana to be recognized as one of the world’s most valuable wetland ecosystems by the Society. “It is certainly a top-tier wetland in Southern Indiana, and provides ecological connectivity that is increasingly valuable as development further disrupts our natural areas,” explains the Society of Wetland Scientists on their website. Sycamore is honored to receive this distinction for Beanblossom Bottoms, which is also a State-Dedicated Nature Preserve and an Audubon Important Bird Area. We have been protecting this land since acquiring the first of many parcels in 1995, and continue to actively steward the land through restoration projects and environmental education for visitors. Listen to the story from Indiana Public Broadcasting. 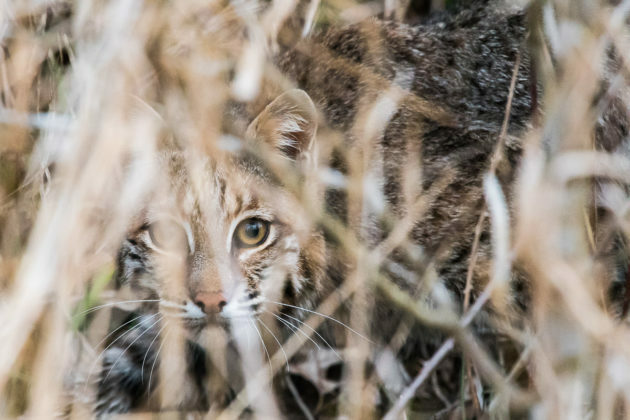 Bobcat at Beanblossom Bottoms in April 2017. Photo by Chip Methvin.